TENSE is a young Belgian designer & manufacturer of TOP DESIGN SWITCHES, OLED switches, motion detectors and socket frames for contemporary building projects. All employees have more than 10 years experience in related areas such as electronics manufacturing, home automation, design & lighting. As being an ISO 9001 certified company, TENSE always aims to be one step ahead of competition and to exceed its customers’ expectations of top quality, innovative R&D, unbeatable service, in-time delivery and professional export handling. 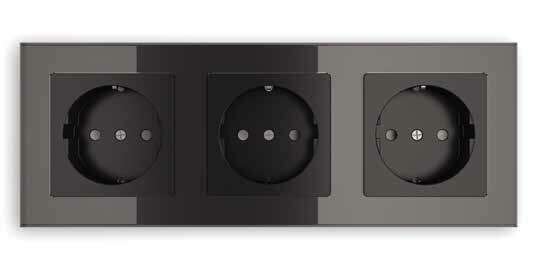 The design glass front in silver, gold, black or white colour consists of 1, 2, 4 or 8 touch zones with colour LED feedback.